"It's been 5 days since my last check-in/confession, and these are my ... I haven't had an Artist's Date in x days." Ok maybe not a "sin" exactly but we were noticing that the 'ol artist's dates were sloughing off. 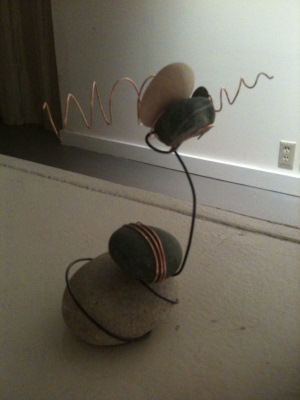 This is not uncommon when we hit Week 10/11 in our 12 week Artist's Way class. An Artist's Date, for those not in the know, is time one spends solo, usually planned (at least an hour but not could be less or more) with the focus being something that would be fun for YOU ("you" being the operative word here). Could be just about anything ... but the one rule is "let it be fun." What's the benefit of an Artist's Date? The students lamented that what was keeping them from doing their dates was forgetting that the date could be just FUN. It didn't have to be "good art" dates (i.e. museums, and more museums). In fact doing something that called to you in that "woo hoo" way was probably the most important thing to listen to when signing on for an Artist's Date. I'd been inspired to have an Artist's Date a few days before after listening to the "pull over and check out that shop" voice. 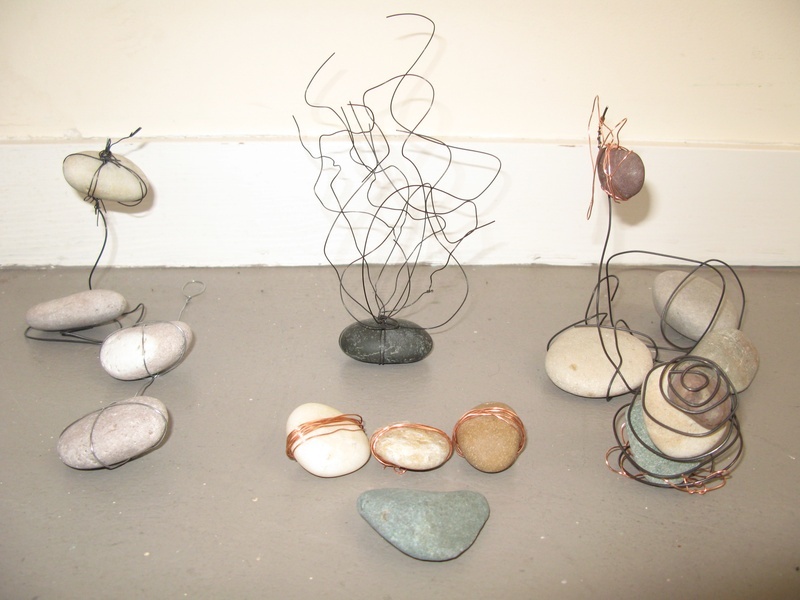 I went to this cool little shop on top of Queen Anne Hill - Charley + May and saw this bird made of wire that was attached to a rock. "Our students could have fun with this." Off I went to my favorite of all time hardware store Hardwicks and got some wire. 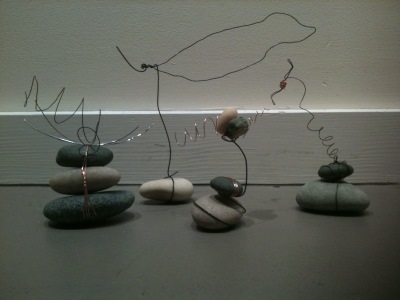 We love our little wire/rock creations. We thought they were very Seuss-ian. And that made us very pleased. And the whole class' work (mine is the dolphin with no tail - inspired by the dolphin tale movie! ).